Your life changes when you meet a life coach. A noticeable transformation in the way you look upon life and live it makes you realize the powerful benefits. It happened to me. Life – A journey with pre-defined start and end, and a purpose. Coaching – A learning process that a committed individual follows. For him or her, making a difference in someone’s life is their true purpose of life. They use life experiences and learnings as tools to help an individual access his/her resources to the desired state. I met my life coach 13 years ago in Pune. His aura was such that I could connect with him instantly. My life was going easy, no mess at all. However, I was keen to know whether my life was following the right direction (can’t define “right” as then I wasn’t aware of what I wanted to achieve) and what my true purpose was. In my coaching journey, I have had many experiences that led me to a state where I am today. I would like to share them with you. I trusted my life coach with my life. I was sure that he will help me find the true purpose of my life and walk with me on this journey. What made me trust him? I had trust on God, myself, and my instinct. He helped me be patient with results. That was not easy. I wanted fast results but was ready to change. I identified a couple of things, which I have been following for the past many years and still follow. They have helped me inculcate patience in my life. Out of the two lifts in my apartment, I have chosen one of them and will always travel by that one. At times, it’s going up to the 23rd floor and I wait on the ground floor. Change is constant. We are, at times, fearful of change as change is “unknown.” We always like being in our comfort zone and change is difficult to accept. Success lies in accepting change. It’s easy to do this when you are able to connect the change or the end result, which this change is going to bring – with your purpose. Each one of us is connected with the universe all the time. It’s just that we don’t realize that. You need a coach to help your connection with the universe become powerful. My coach asked to always think big – beyond my current state of imagination. The reason he stated for that was – I’ll anyways make efforts to achieve my “goal”, and very little effort will be required to achieve the “big goal” – which is worth it. This is, perhaps, one of the biggest benefits of life coach - you learn to step beyond your perceived limits. In this world, the easiest thing to do is get distracted. Distraction takes your focus away from your goal, thereby, leading you to an undesired and dissatisfied state. More the discomfort, the closest you are to your goal. Attaining success is a slow process. Surrender – you are not a doer. You are just an executioner. Connect emotionally only with living beings, not with things. When it comes to seeking life coaching, people are, at times, hesitant. Why? We all agree to the fact that none of us is 100% perfect. It’s not about being perfect or achieving perfection, rather, about achieving a state, which will help you meet the desired result. So, choose life coaching without hesitation. Haven’t most of us been to coaching classes during our school days? Haven’t we sent our children to coaching classes, so that they can get better at a certain subject or a sport? Similarly, why do we think that we may not need a coach? And we need it more in the current environment wherein there’s so much of competition at our workplace leaving us with little time for our personal lives. Professional and personal lives are compromising each other. This is impacting our lives in a negative way. And even when we realize it, is it our ego that stops us from seeking help from someone more experienced than us, because we are experienced enough? How do you identify that you need life coach? Life Coaching is not about “changing” yourself, rather it’s about “transforming” yourself. “Transformation” is internally influenced. For example, you have a habit of smoking a pack of cigarettes each day and you make a promise to yourself to reduce it to 5 a day through self-realization. 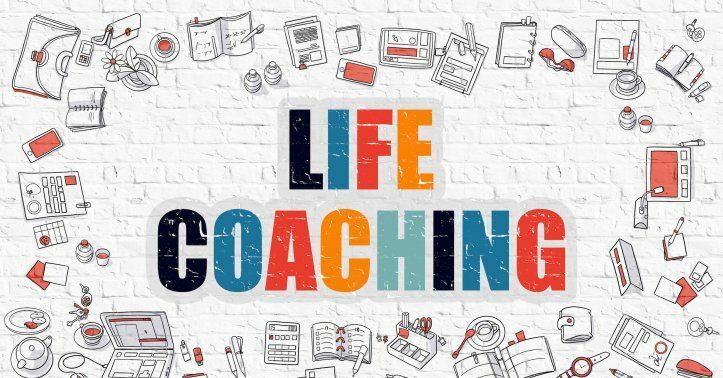 A life coach can help you only when you are willing to help or transform yourself, as life coaching is about “transforming” yourself from “good” to “great.” This is one of the benefits of life coach. Life coaching can help you realize your true potential. It’s not that you don’t know yourself, however, you don’t know yourself 100%. Life coaching can help you identify aspects, which are important for you to reach your goal. There’s nothing wrong in seeking coaching – the reason for the same is that, at the end of the day, it’s all about “you” and your well-being. Most of the top executive leaders have sought or are currently seeking coaching from experienced professionals and coaches as they realize that the current fast and challenging environment requires a powerful perspective to take important decisions. They have realized the benefits of life coach. You are on a transformational journey and influencing people around you to live a blessed and successful life.